St Thomas à Becket (1118-1170) – English Churchman and martyr. 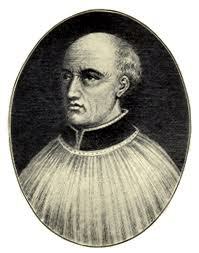 Thomas Becket was born to a wealthy London family around 1118. His talents were noticed by the then Archbishop of Canterbury, Theobold. (At that time, the Archbishop of Canterbury was one of the most powerful men in England, after the King.) After successfully taking part in missions to Rome, he was noticed by King Henry II who appointed Thomas Becket to be his Chancellor. 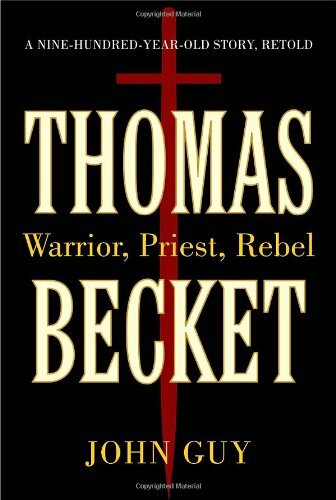 Becket quickly became a favourite of Henry II. Thomas was loyal, dedicated and very talented in managing the nation’s finances. As chancellor, he always put the King’s interests first. In 1162, Henry II had Becket appointed Archbishop of Canterbury – fully expecting him to continue in his loyalty to the King. However, much to the annoyance of Henry II, Becket became very devoted to his religious position and frequently ruled on decisions which angered the King and asserted the importance of the Church. It is said on becoming Archbishop of Canterbury Thomas Becket became more religious and saw his role as head of the church as more important than as a servant of the King. It is said that, after becoming Archbishop of Canterbury, he adopted an ascetic approach to life, giving up worldly comforts. In 1170, Thomas Becket returned to England. However, Thomas returned only to further irritate Henry II by continuing to assert the rights of the Church and the papacy. According to tradition, Henry II flew into a rage and uttered ‘Who will rid me of this meddlesome priest?” On hearing this, supporters loyal to the King murdered Thomas Becket in Canterbury Cathedral – stabbing him with a sword. The King later showed great remorse on the death of Thomas Becket and even undertook public penance at his shrine. Miracles were soon reported at Becket’s tomb and he was canonized by the Pope very quickly – three years after his death in 1173. 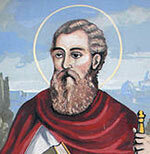 His fame spread across Europe and his shrine became one of the most visited places of pilgrimage. The shrine stood until it was destroyed in 1538, during Henry VIII’s dissolution of the monasteries. Today in its place at Canterbury Cathedral stands a small memorial and candle. 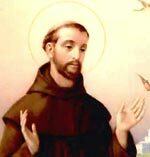 His feast day is 29 December.